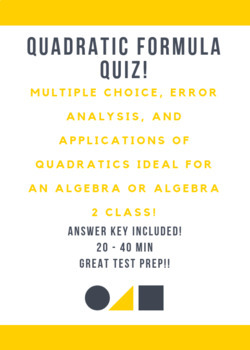 This quiz has a mix of multiple choice, identify the error, quadratic formula plug in, and quadratic formula application problems. It should take 20 - 40 minutes depending on the level of your class. Answer key is included.